In the grand scheme of things, the discovery of Penitente Canyon in the San Luis Valley by rock climbers in the mid-1980s was rather late in the game since it is part of the La Garita Caldera, which was formed more than 30 million years ago during one of the earth’s largest recorded eruptions. They’ve certainly made up for lost time since then, because the canyon’s 100-foot walls are regularly scaled by scramblers from around the world. If you’re not the rock-climbing type, there are manageable hiking trails that will take you close to the action. 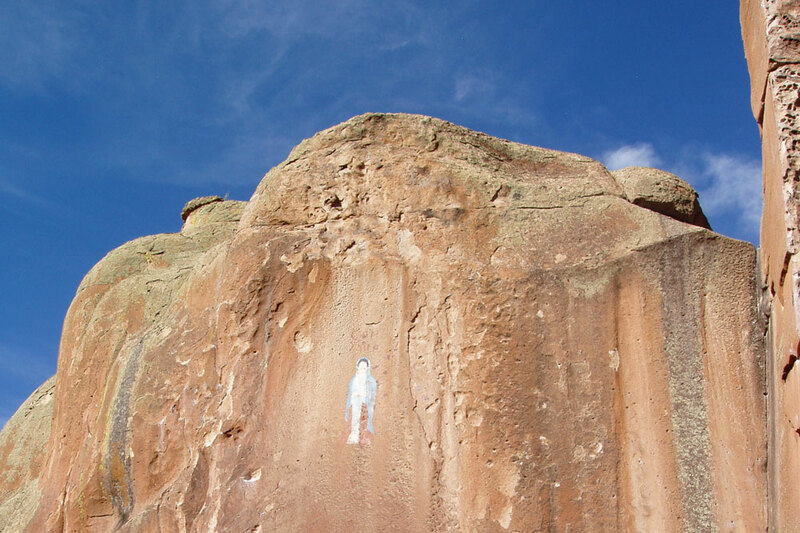 Try to spy one of Colorado’s rarest plants, the neo-parrya, scaling the cliff walls. The canyon is part of the Bureau of Land Management’s 7,529-acre recreation area of the same name, and there is a network of single-track trails for bikers and horseback riders, in addition to a campground. History buffs will relish the American Indian and Spanish history in the area. The canyon got its name from Los Hermanos Penitentes, a Spanish religious sect that favored Pentinente Canyon for its solitude in the 1880s. When you visit to capture a bit of your own solace and spirituality, don’t miss the Virgin of Guadalupe painted high on a canyon wall and the ruts of ox carts that remain from the days when the Old Spanish Trail traversed the area. Start your own Penitente Canyon adventure from the town of La Garita which is located just west of U.S. Hwy. 285. Travel west on County Road G very briefly until you reach a fork in the road. Head south (left) at the fork, which is unpaved County Road 38A. You’ll see the Penitente Canyon turn-off about half a mile down the road. Photo: Courtesy of Joseph Kolupke.